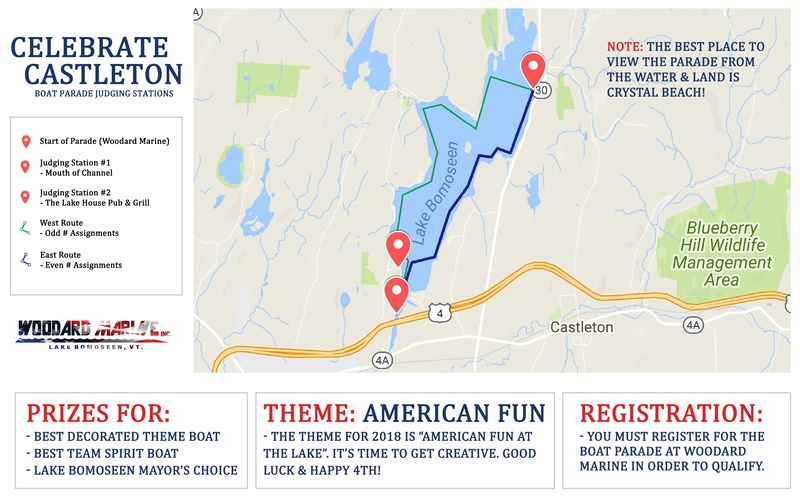 The 4th of July is only a short couple of weeks away which gives you just enough time to deck out your boat for the Boat Parade! This year’s theme? American Fun! Make sure to sign up at Woodard Marine to be eligible for prizes! The Boat Parade leaves from Woodard Marine. The judging stations are at The Lake House & entrance to the channel. Not able to make it to the parade? Don’t worry, there are other events you can go to! Check out the schedule of events here.